Many youth football teams belong to local or national leagues, such as American Youth Football and the Pop Warner Association. While these leagues provide financial assistance, grants are limited and competition is high. Youth leagues should apply to their leagues for funds, but they can also apply for grants from national foundations. AYF makes grants to their youth league members. AYF partners with Riddell, a leading football equipment distributor, and with the National Football League (NFL) to provide equipment grants. Member teams receive notification when the grants are available. Finish Line prefers to support community programs that focus on team-building and lifestyle issues. They consider requests for equipment grants. NCAA’s youth initiative provides equipment grants through partnerships with corporations and youth leagues. In the past, they have partnered with Russell Athletic and Wilson Sporting Goods. Through their Corporate Champion and Corporate Partners Program, NCAA supports youth football throughout the country. The National Football League’s Join The Team initiative lists many charities and outreach projects. They list more than 90 NFL player charities. Player Foundation Grants provide support community efforts, including equipment grants. The YFF provides grants in several areas, including equipment. Some grants require application by NFL players and applications are submitted using their Grant Application Management System (GAMS). Teams ineligible for YFF grants are encouraged to apply through USA Football. 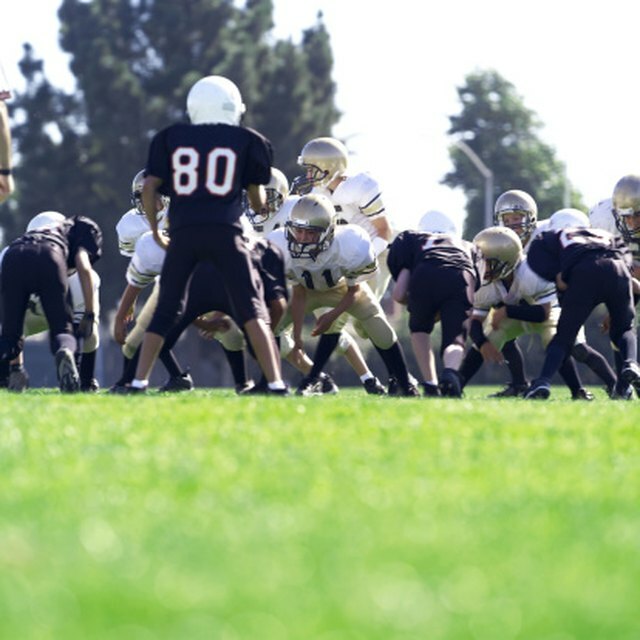 The Pop Warner Equipment and Apparel Grant is offered to local member groups. Pop Warner partners with Schutt Sports, Spalding, Bike and Russell Athletic to provide equipment.